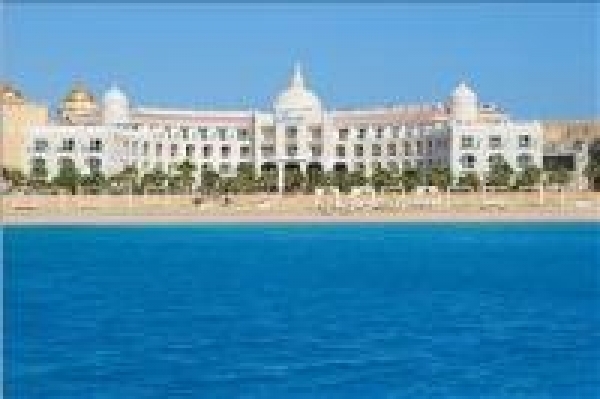 Views to the Tiran Islands and seaside location offers the 5-star Royal Savoy Hotel. 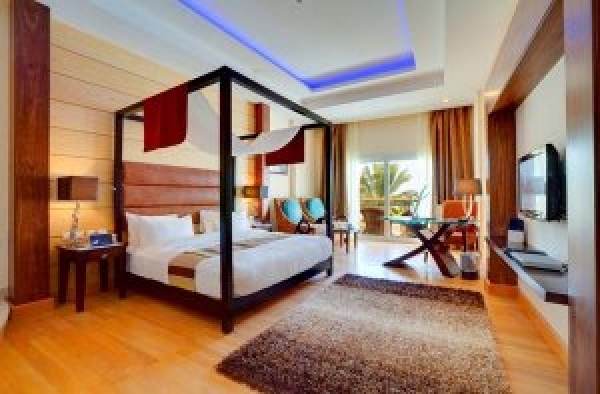 Lay back and enjoy yourself at this adults only hotel in Sharm el-Sheik with its luxury facilities, like private beach access and a huge pool area surrounded by green gardens. The rooms, suites and villas feature all air conditioning, flat screen TV, marbled bathroom and a stunning view to the sea or garden from the balcony. Enjoy well-being in the Royal Savoy SPA with several beauty treatments and massages using natural products from Egypt. The private lounge invites to watch the breathtaking sunset.